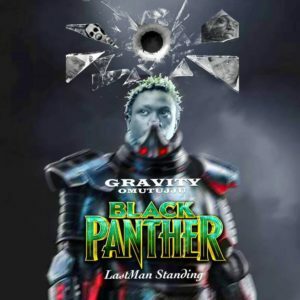 In his recent beef song called ‘black panther’, city rapper Gravity Omutujju is heard publically rubbishing veteran rappers like Babaluku, Rocky Giant, Navio and others and he refers to Navio as a “Mummy’s boy” claiming that the Njogereza singer doesn’t have lyrics and good music but has only survived in the industry because of the financial support from his family and his mother Dr Maggie Kigozi. Gravity Omutujju who recently agreed in Uganda celebrity news that the only rapper who defeats him in Uganda is GNL Zamba who is currently in USA, came out also with a diss song declaring himself as the best and biggest current rapper in Uganda next to none. This comes after a series of beef songs which resurrected rap music in the country. This started with the ‘business’ singer Feffe Busi who first released his who is who rap song and later followed by several rappers in Uganda. These included Da Agent, Abdul Mulaasi, Wiz Static, Victor Kamenyo, GNL Zamba and the recent song by Gravity Omutujju called black panther. In black panther, Gravity throws bare knuckles to Navio which has forced Navio to warn the ‘embuzi zakutidde’ singer to stay in his lane and identify his position amongst rappers. Navio claims that Gravity Omutujju is too local to be compared to him who is an international artiste. “I am an international singer. Let him first learn real hiphop. 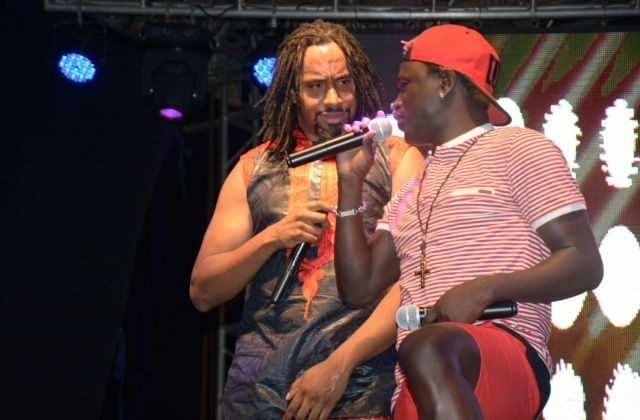 He should learn to respect rappers who are better than him” said Navio.